The people of the world know about Scarborough. Paul Simon made the folk song Scarborough Fair famous outside the UK. The fair was an annual six-week trading festival that began in 1253. It ended in 1788. Today there is a museum/tourist attraction called Scarborough Fair, and the odd event happens in September. The considerable efforts of the great playwright Alan Ayckbourn have been restricted to this century and the last. He is based in the town, and all of his 75 plays have been premiered at the Stephen Joseph Theatre in Scarborough. 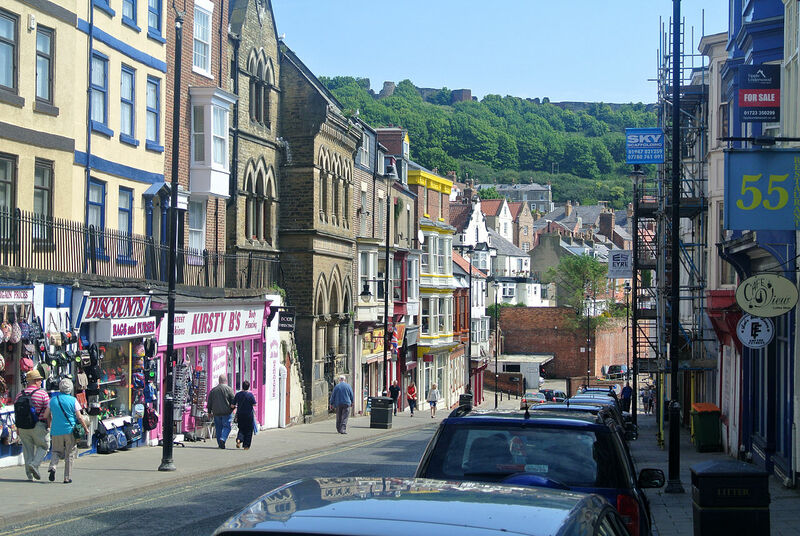 Although the economy of Scarborough is dominated by tourism, the hunters and foragers of the fishing industry continue. Other foragers travel across the world to visit the Stephen Joseph Theatre and to watch an Ayckbourn play, a little like Elvis and Memphis. The presence of Ayckbourn may explain why 19% of the 63,000 population is employed in the creative industries and why graffiti art culture exists on this part of the North Yorkshire coast. Scarborough Council has prescribed areas where aerosol daubing is legal. Scarborough Spa may not have appeal for the worldwide fans of Ayckbourn but the concerts of violinist Max Jaffa and his orchestra at the theatre were broadcast on BBC radio between 1956 and 1986. Jaffa played light music but was an accomplished musician. He refused to be leader of the Scottish Symphony Orchestra. His autobiography was called A Life On The Fiddle. The title suggests a man who liked to entertain and who did not take himself too seriously. The comparison with the rhythm and blues hero Louis Jordan who eschewed jazz so that he could entertain ordinary folk is wild but tempts. Jaffa let a legacy. Scarborough Spa has an orchestra in residence. It is the last seaside orchestra in Britain. St Martins On The Hill is a pleasant Anglican church made exceptional because the decoration and stained glass panels were designed by William Morris and Co. The pulpit has ten panels painted by Gabriel Rossetti. The bay of Scarborough is defined by two broad cliffs. The locals live and shop on the plateau above the cliffs. Below them the bay is divided into North and South. The latter has the fun fairs, and the former has the Castle. Although there were early Stone and Bronze Age settlements, the town was built by Vikings in the 9th Century. Find a quiet spot on North Bay, and the appeal to Vikings becomes obvious. In the 17th Century the supposed healing properties of the water attracted visitors. The beach facilitated horse racing, and the sport can still be seen on the beaches of the Yorkshire Coast. Railways expanded the potential of tourism, and Scarborough rail station has the longest platform seat in Britain. The Grand Hotel was built in 1863 and, like Marcel Proust, the architect was obsessed with time. The Hotel has four towers, twelve floors and fifty-two chimneys. 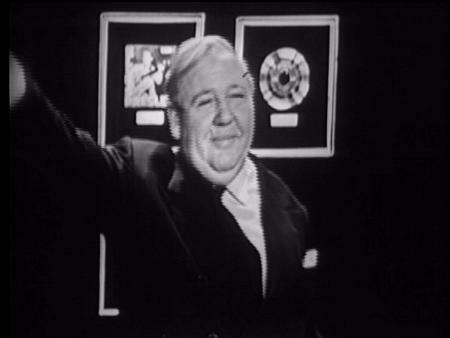 The parents of the gifted actor Charles Laughton owned a hotel in Scarborough. Laughton witnessed the phenomenon of Elvis Presley when he introduced the singer on the Ed Sullivan show. Laughton understood talent. The recordings of that seminal moment reveal his relish and pleasure. If Laughton ever regretted leaving Yorkshire, it was not that evening. Posted in Alan Ayckbourn, Charles Laughton, Ed Sullivan, Elvis Presley, Gabriel Rossetti, Louis Jordan, Max Jaffa, memphis, Paul Simon, Scarborough Fair, Scarborough Grand Hotel, Scarborough Spa, St Martins On The Hill, Stephen Joseph Theatre, William Morris and tagged Culture, tourism, travel, UK history, uk travel on October 17, 2015 by Howard Jackson.